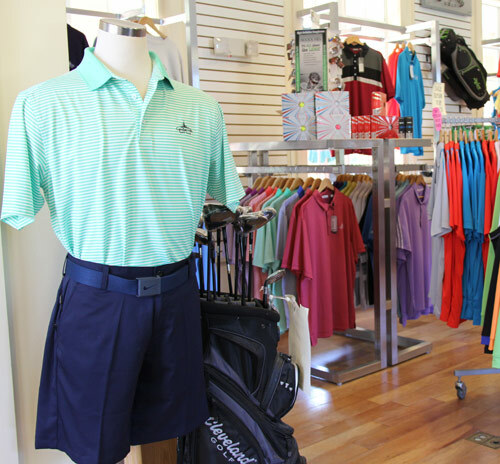 Candler Hills Golf Club features a well-appointed golf shop for all of the golfer’s apparel, equipment and accessory needs. Whether you’re looking for the newest golf club technology or a shirt that makes you look like a tour pro, the Candler Hills Pro Shop staff can assist with your selection. The men’s apparel lines feature the latest styles from companies such as Candler Hills Private Label, Antigua and Ahead. On the ladies side, fashions from Kate Lord, Tail and Antigua adorn the displays. Footwork in the golf swing is important too – how about a new pair of Foot-Joy shoes to complement your new outfit? Properly fitted equipment for the golfer is a top priority of the golf staff at Candler Hills Golf Club. The professional golf staff can fit you for equipment that will maximize your golf skills. Both the Ping and Cobra golf club fitting systems are featured at Candler Hills Golf Club – make an appointment for your personal fitting today! The Golf Shop stocks golf clubs by Titleist, Cobra, Ping, Taylor Made, Adams and Tour Edge. Putter selections include Cleveland, Ping, and Cobra. Golf balls and gloves are a necessity for all golfers. The Candler Hills Golf Club staff can lend you a hand in selecting the golf ball that’s correct for you – choose from Titleist, Pinnacle, and Srixon. Whether you prefer the Titleist cabretta leather gloves or the Foot-Joy synthetic gloves, you can find the perfect fit at Candler Hills. All golfers need the little extras – Candler Hills logo hats from Ahead or socks from Foot-Joy are available to complete your outfit. How about a new Burton logo golf bag for the new golf clubs? To play your best, the golfer needs to look his or her best. 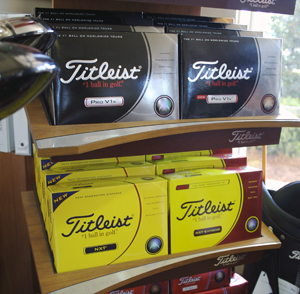 Stop by the Candler Hills Golf Shop today for all your golfing necessities!